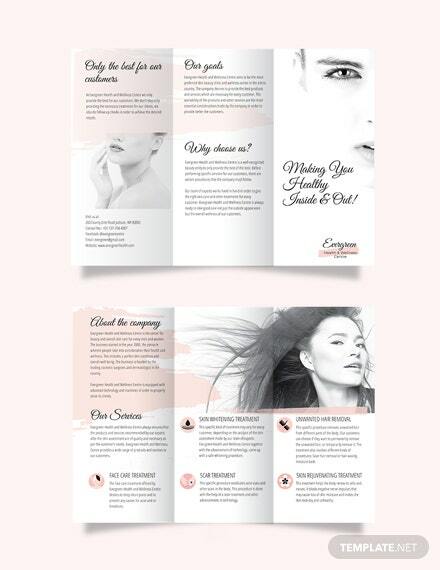 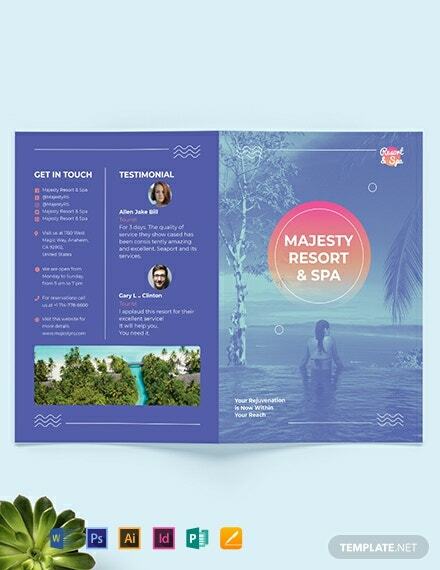 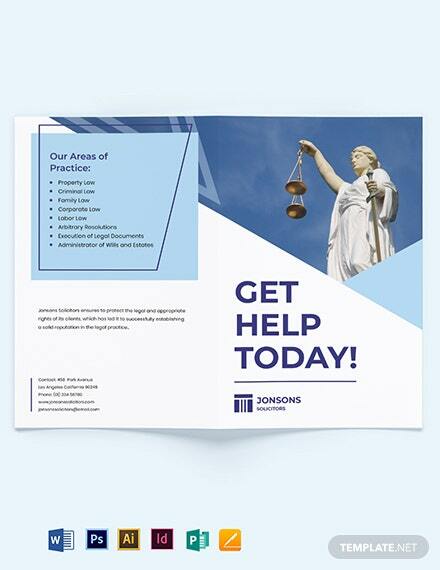 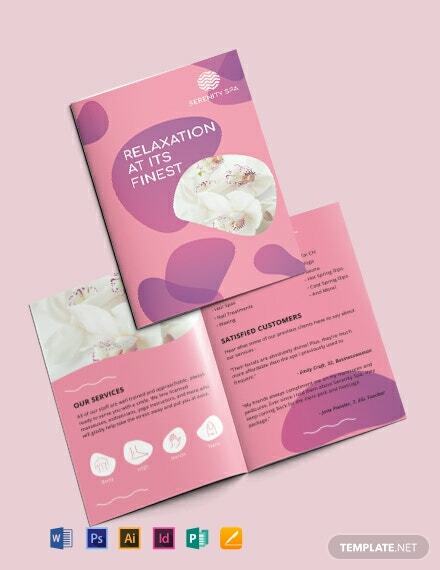 Get this brochure template to showcase a spa’s services and facilities. 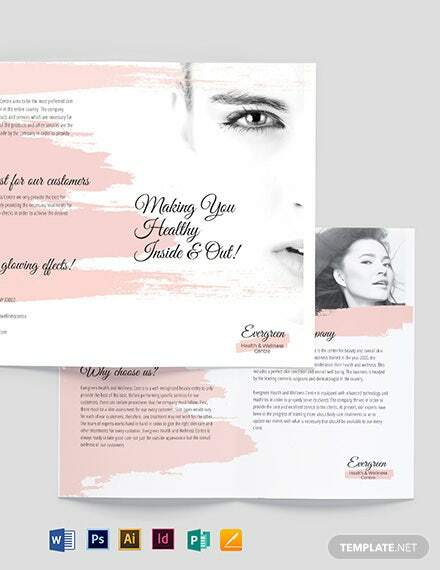 Instant download is available and easy to edit. 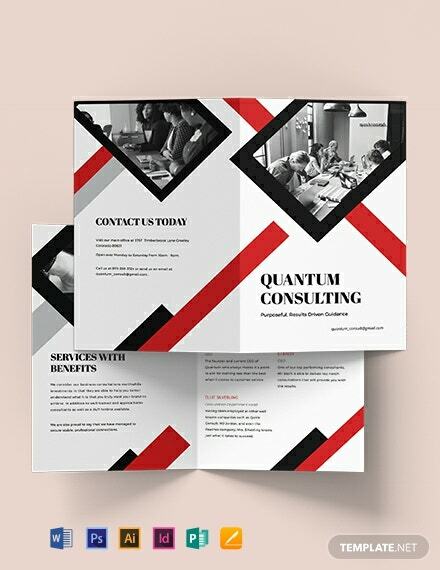 High-quality layouts, photos, and graphics are used. 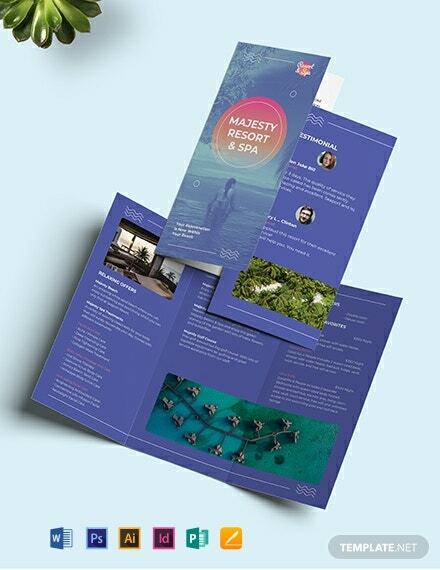 Free to download and available in multiple +More formats.